It started out as just another day for Debbie Dills, but that quickly changed. 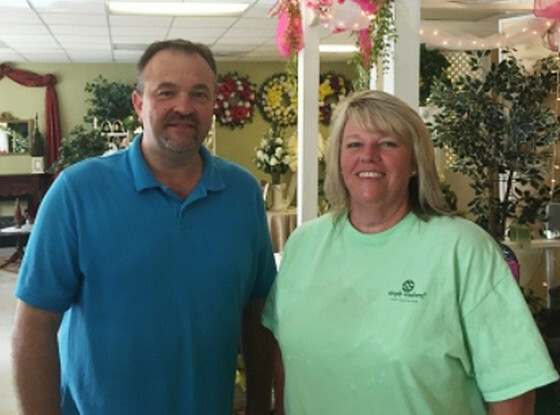 Debbie was running late Thursday morning on her way into work at Frady's Florist in Kings Mountain, N.C., but she was actually right on time...to help police catch the alleged Charleston church shooter. Dills and her boss, Todd Frady (both pictured above), made the initial calls around 10:35 a.m. that led to the arrest of suspected shooter Dylann Roof in Shelby, according to local reports. I look over, and it's got a South Carolina tag on it," Dills said. "I thought, 'Nah, that's not his car.' Then, I got closer and saw that haircut. I was nervous. I had the worst feeling. Is that him or not him?" So she called her boss for advice. 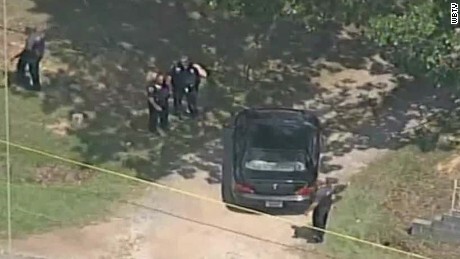 Frady said he made a call to officer Shane Davis of the Kings Mountain Police Department, who relayed to Shelby Police that the suspect's black Hyundai Elantra was traveling west on the highway. "I had been praying for those people on my way to work," Dills said she followed Roof's car until police arrived, a journey that covered some 35 miles, she explained. "I was in the right place at the right time that the Lord puts you."